At Armature Coil Equipment (ACE), we strive to provide diverse solutions in terms of industrial products. We also provide a variety of supplementary components and machines to enhance the performance of our products. For our coil winding product range, we offer the following solution driven products – Models 65 and 66 Coil Winding Tailstocks. 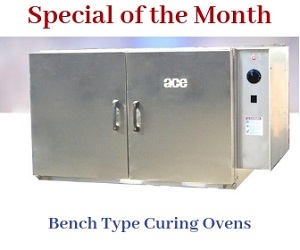 Both models can be used along with any of ACE’s heavy duty coil winding machines. 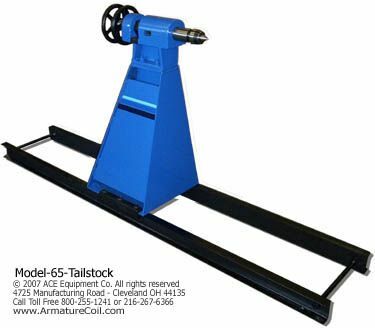 The rails and tailstock models are constructed with precise specifications so that your coil winding operation will be fast and accurate. 5. Gross Weight 225 lbs. 309 lbs. 125 lbs. These devices are designed to support a range of winding operations for heavy duty transformers and motors. They allow for the easy yet precise rotation and tensioning of wires for coil winding purposes. 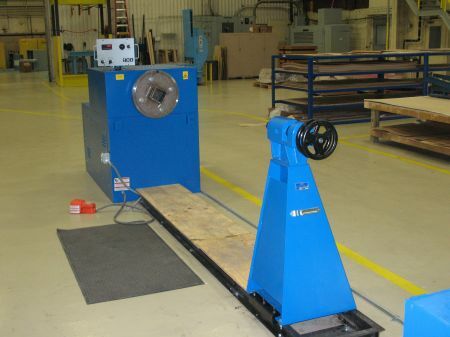 The tailstock consists of a weldment base bed constructed from thick steel plates. The tailstock is placed on the base bed, allowing for easy movement and adjustment during the winding operation. The head is constructed out of machined cast iron, ensuring high strength and durability. Model 65 consists of a live center with a No. 2 Morse Taper. Model 66 consists of a live center with a No. 4 Morse Taper.